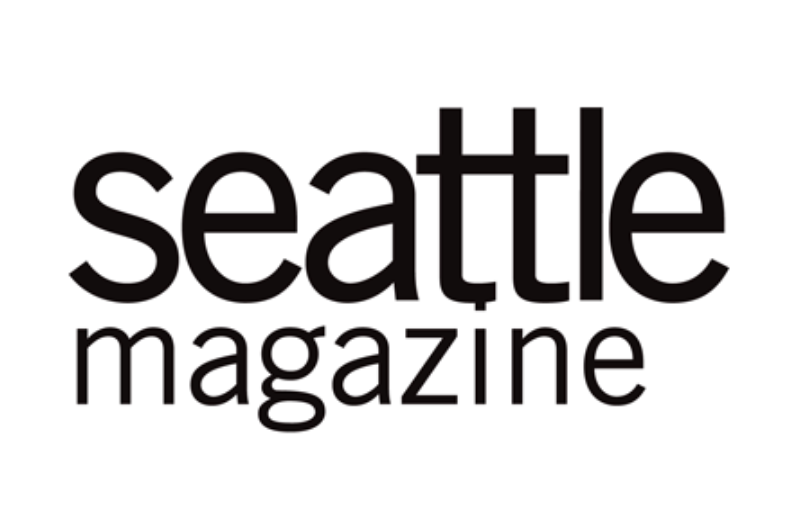 The South Seattle Edible Landscape residence is home to an avid cook who sought to redesign his entire property to reflect and support his passion for food. 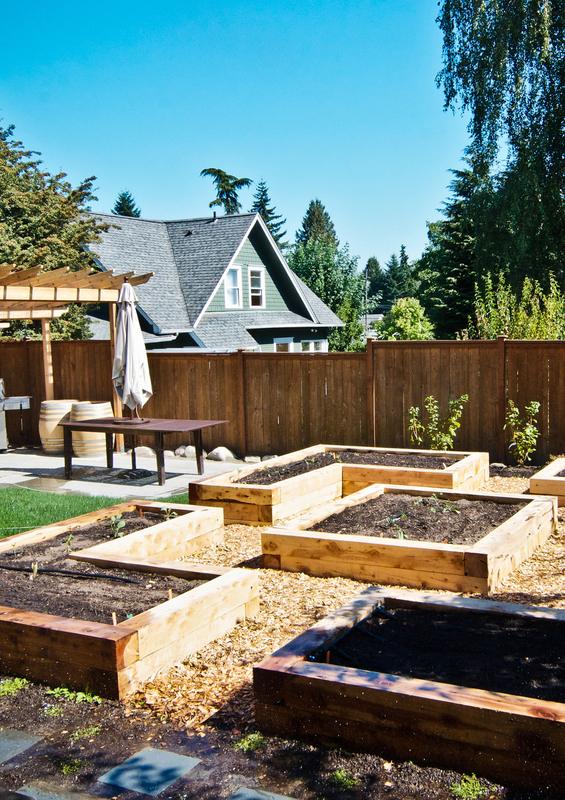 Raised bed annual gardens, beehives, perennial plantings and mushroom habitat have transformed the yard into an edible, functional outdoor living space. The South Seattle Edible residence is home to an avid cook who sought to redesign his entire property to reflect and support his passion for food. Raised bed annual gardens, beehives, perennial plantings and mushroom habitat have transformed the yard into an edible, functional outdoor living space. 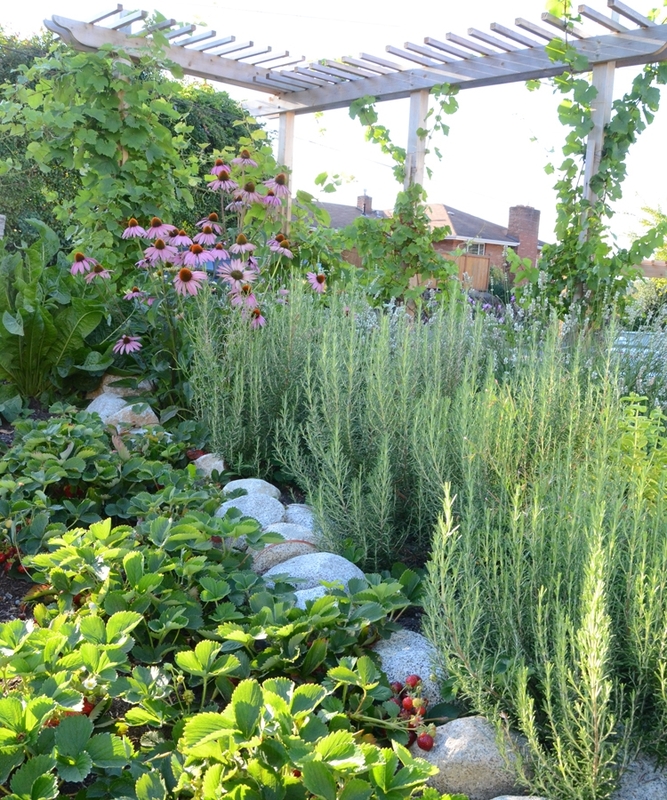 The perennial garden beds & produce a wide range of herbs, berries, vegetables, medicinal crops and pollinator flowers. Fruit trees, patios, stone walkways, trellises and covered seating areas provide structure for the garden and combine to create comfortable spaces for entertaining throughout the year. 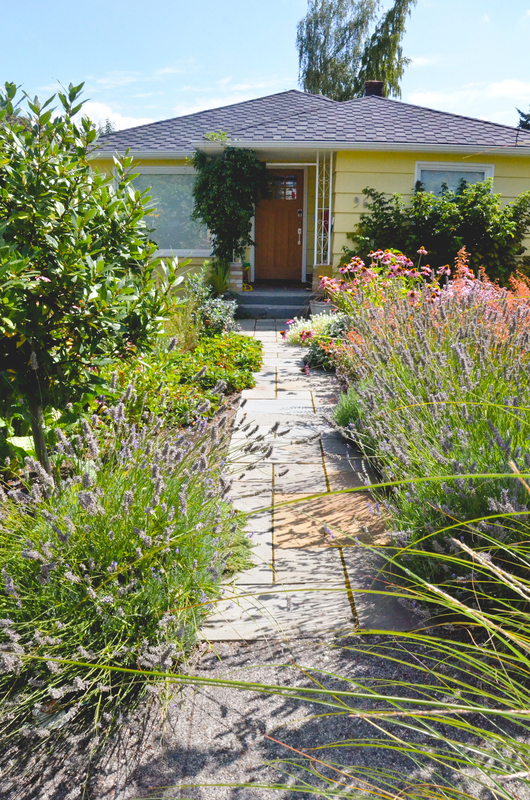 The front yard is home to dozens of perennial edible plants. Beautifully combined, the variety of shapes and colors provide year-round interest and create a welcoming entryway to the home. 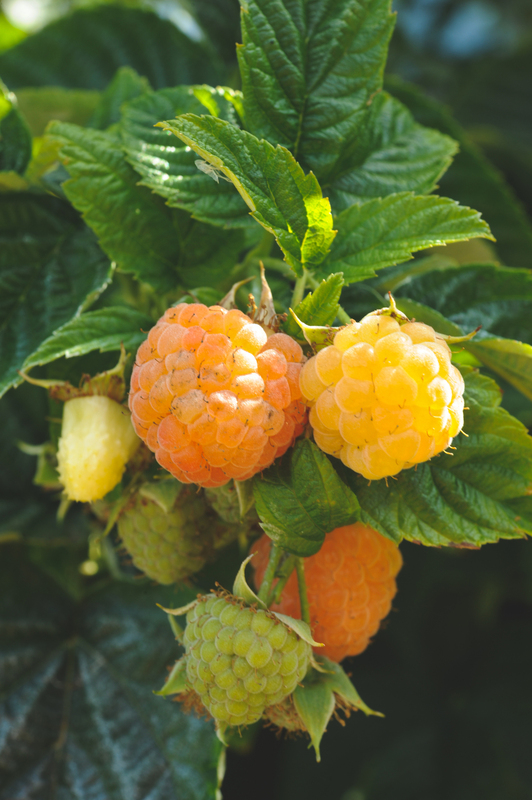 The shady sides of the property are planted with Pacific Northwest natives, and focus on edibles such as salal, evergreen huckleberry and wild ginger. 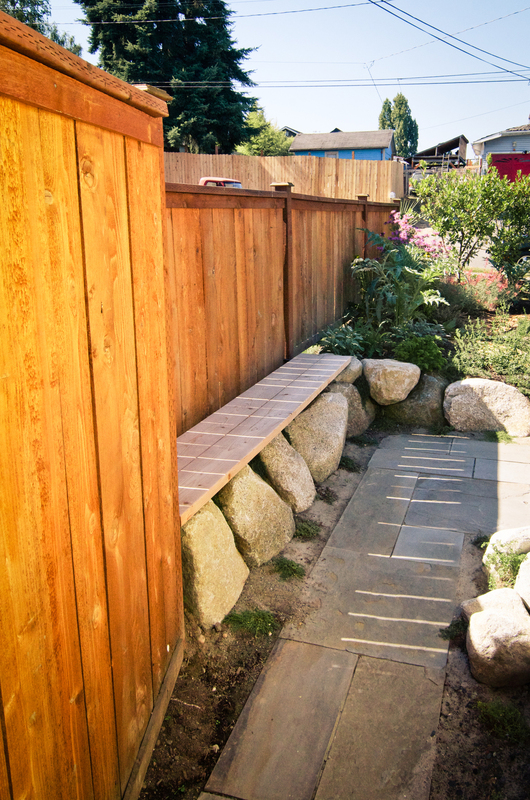 The backyard serves as the primary gathering space, containing two seating areas, large annual garden beds and a wood-fired oven.